About two years ago I was getting a little annoyed with all of the local television news stations constantly telling me to follow them on Twitter. "Why would I do that?" I thought. "And why would a respected business care if I followed them on Twitter?" I really had no clue. That's when the obsessive part of my brain kicked in and I began to explore Twitter's use in business. Furthermore, since I'm the managing partner of a consulting firm that specialises in working with healthcare providers, I was specifically interested in Twitter's potential in the field of health and medicine. Initially, what I found seemed a bit chaotic. But upon further study I noticed that many of the tweets had one or more words in them that were preceded by the '#' symbol. 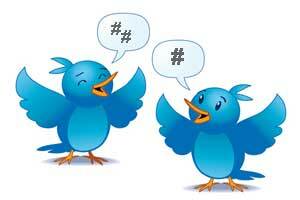 These are known as hashtags, and they can represent the main subject matter of the tweeted message. This realisation helped me to see that there was in fact some organisation to all this chatter. I found that if I entered a hashtag in Twitter's search bar, or if I simply clicked on a given hashtag in a tweet, Twitter would return a list of tweets that included that hashtag … from around the globe! These hashtags are threading conversations that are sharing ideas and disseminating information together. They allow people to find the conversations they want, and to find people with common interests. Fast forward several months and our consulting firm decided to launch a new division dedicated to helping healthcare providers to develop their online presence. Part of our responsibility with this service would be to help decrease the barriers to entry. To help clinicians get comfortable with social media, and to easily find effective ways to engage. During a conversation with Audun Utengen, who oversees our online presence, I was lamenting the fact that as helpful as hashtags were, they're a bit random. People create their own hashtags, so consistent use of a single hashtag for a single topic can be elusive. That's when I became obsessive again. The thought was that if we could curate the many Twitter hashtags being used in healthcare, link them to one another and to their broader subject matter, then perhaps we could help bring all these conversations and people together. And that's where the Healthcare Hashtag Project was born. As you can imagine, there's lots to explore when it comes to Twitter conversations in the field of healthcare, so it's nice to have a bit of a road map to both help find what you're looking for and to be found yourself. 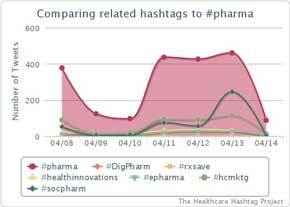 To that end, our project is currently tracking a list of over 230 Healthcare Hashtags. And while there is much that can be done with the data and metrics that we compile for each of these, the video below provides a brief demonstration of a few of my own favourite uses of the individual hashtag pages. 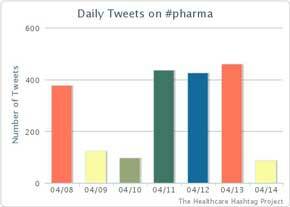 • View a list of healthcare conferences with assigned hashtags and their related metrics. A visit to the project site may better equip you to choose the most relevant hashtags based on what your goals are, and to find some of the most interesting conversations and people at this rapidly expanding intersection of healthcare and social media. And if you're new to all this, we hope that it accelerates your learning curve and ability to become comfortably engaged. The development of this project, with so much wonderful community input, has already come a long way from its origins in terms of the number of hashtags tracked and the amount of related data presented. But rest assured, there'll be still more to come, because, well … I'm obsessive about some things. Thomas M Lee is managing partner of The Fox Group, founders of the healthcare hashtag project, and has over 30 years experience in healthcare operations including acute psychiatric, skilled nursing, physician practice and physical therapy. He is passionate about healthcare social media.